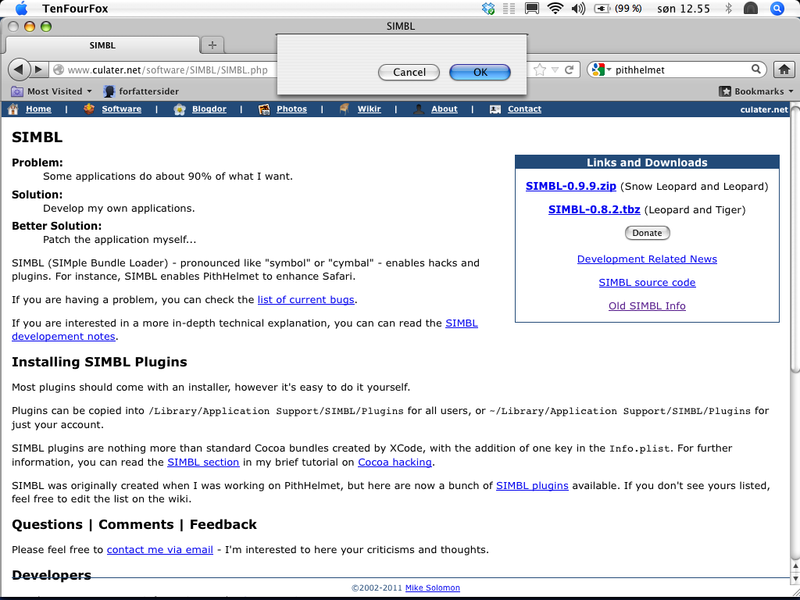 see the attached screenshot - I clicked the link on the right - SIMBL 0.8.2 - and 10/4 hung. Had to force quit. The sheet drop-down suggests an add-on is responsible -- I don't get a sheet when I click on the link, I get a dialogue box. If the hang only occurred once, or intermittently, this will probably be very difficult to diagnose.